At no time do you spend more than your budget allows. You are encouraged to buy items off the registry. 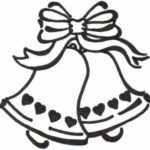 You can plug either the bride or grooms name into RegistryFinder.com and discover where the couple has registered. Start early to give yourself more options. Can you give cash? Cash is the ultimate wedding gift, both for giver and recipient. Cash doesn’t have to be bought at a certain store, is never the wrong color, and is easy to wrap by enclosing it in a thoughtful wedding card. For the couple, cash does not need to be returned with a gift receipt, will match any household décor, and can be used for many purchases and expenses no matter what the amount, cash is useful and practical gift to help a couple start their life together. Whether you are buying a gift from the couple’s registry or giving cash, the guidelines for the amount are similar. Relationship – Close friends and family members would receive more than a co-worker. Travel Distance – If attending a wedding requires a plane ride and a hotel stay, you can buy something less expensive off the registry. Wedding Party Status – In general, the wedding party gives more, but if there were above and beyond expenses – like an extremely expensive bridesmaid dress or a bachelorette getaway in Mexico – you can give less. Other Gifts – If you are participating in other wedding activities, you can allocate your budget over these events. The general rule is 20% on an engagement party or bachelorette party (depending on what part of the country you live), 20% on the bridal shower and 60% on the wedding gift. In 2014, RegistryFinder.com reflected the average amount spent on a wedding gift was $120. This is comparable to the average gift of $125 that Tendr.com registered. You can send your gift ahead, bring it to the wedding or deliver it up to 1 year later. However, try to deliver within a two month period from the wedding. Again the guiding rule is “what does your budget allow.” It isn’t about what they gave you in the past. Personal budgets and financial situations change over time. 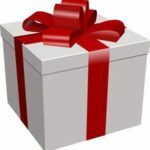 What may be an appropriate amount for a cash gift at one time may not be suitable for another event. Securities and advisory services through KMS Financial Services, Inc.